Doctors and court officials are months late in producing a court-ordered review of John Hinckley, the would-be assassin who shot and wounded President Ronald Reagan. Court records reviewed by the News4 I-Team show that this week a federal judge acknowledged delays in conducting a required “risk assessment” of Hinckley. The judge has ordered Hinckley’s defense attorneys, plus prosecutors with the U.S. Attorney’s Office, to notify the U.S. District Court for D.C. by Friday about their availability for a hearing to discuss the future of Hinckley’s “convalescent leave” from federal custody. In 2016, a judge freed Hinckley from a 35-year stay at a mental hospital, allowing Hinckley to live full-time in his mother's home in Williamsburg, Virginia. He's on "convalescent leave," which requires that he regularly report to the court about his support and treatment. The judge’s decision included several provisions, including a requirement that St. Elizabeth’s Hospital in D.C. conduct an “updated risk assessment” within 18 months of Hinckley’s release. 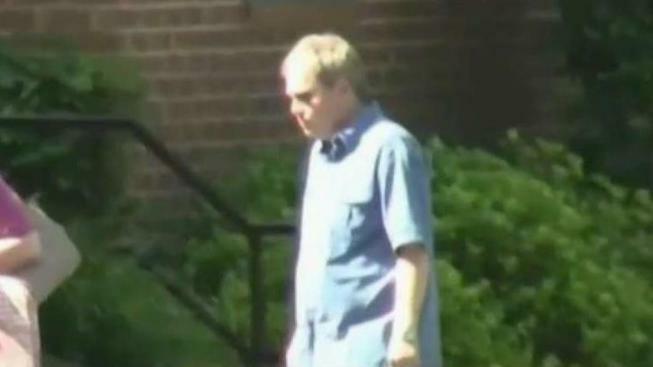 Judge Rules Reagan Shooter Can Live With Mom in Va.
Thirty-five years after he tried to kill President Ronald Reagan, a judge has decided that John Hinckley Jr. can leave a mental hospital and live with his mother in Williamsburg, Virginia. News4's David Culver spoke with neighbors about the controversial release. The deadline for the review of Hinckley and his danger to the public passed in January 2018 without completion. A spokesman for the U.S. Attorney for D.C. said the office had no comment beyond what the court filings in the case say. Defense attorneys did not immediately return requests for comment. As part of Hinckley’s 2016 release, the court ordered he have no contact with the Reagan family or with actress Jodie Foster, whom Hinckley said he was trying to impress when he shot the president in D.C. in March 1981. The court also barred Hinckley and his family from speaking with media. Hinckley was 25 when he opened fire outside of the Washington Hilton, hitting Reagan in the chest — a moment captured by news crews. Press secretary James Brady also shot in the head. A police officer and a Secret Service agent also were wounded. Hinckley was found not guilty by reason of insanity and ordered to live at St. Elizabeth's for treatment. Over the years, the court loosened restrictions on him.